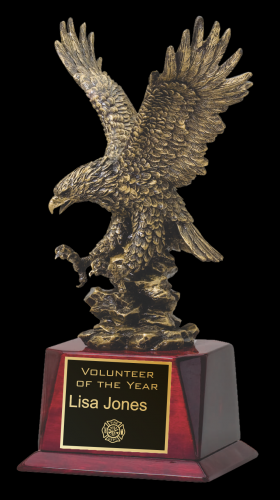 A Bronze American Eagle in Flight, Landing on Black Finish Base. 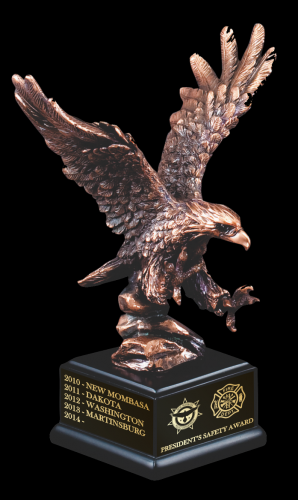 Picturesque Antique Gold Eagle in-flight on Rosewood Finish Base. Made of resin. Cardboard box only.